Today was the fifth, and last day of the seminar, and the theme was “Future”. The aim for the day was to make the participants reflect over their hopes for the future both individual and societal. The seminar started with a workshop on the future of Timor-Leste. The participants were divided into the same workshop-groups, before they got three different questions to discuss. 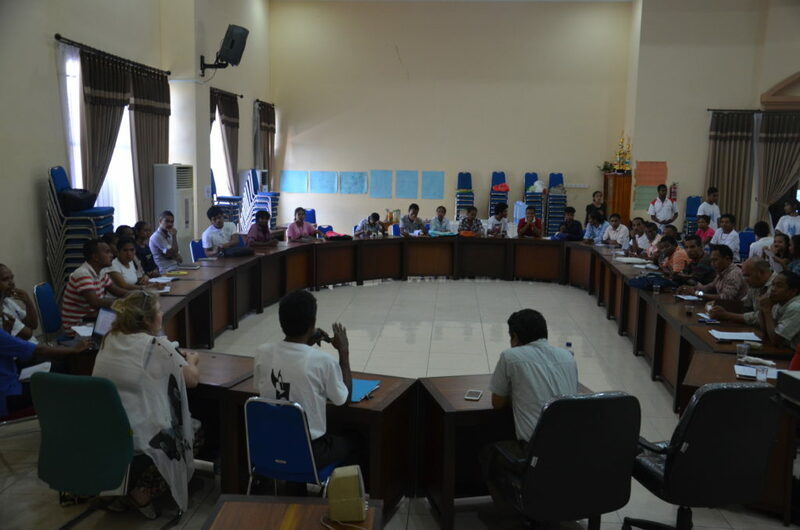 First they discussed how the situation in Timor-Leste is today, especially in regards to development. Secondly they discussed how Timor-Leste is realistically in 10 years, and lastly where they hope Timor-Leste is in 10 years. After each of these questions the groups were asked to sum up what they discussed in one sentence and present it to the whole group. This was followed by another final question, if the hope and what’s realistic in 10 years is different, why? And what can be done to achieve the hope for the country? The answers to this exercise were quite varied. They reached some common conclusions namely; to work together for common interests, to increase the communication between government and community, to allocate justice and to optimize the use of resources (especially with regard to imports). Following the workshop there was a small snack break, before continuing with a roundtable session on the theme “utopia”. This was an initiative from Professor Antero da Silva, who invited other professors as well as some of his master students from the peace and conflict studies. The participants of the seminar were also attending. Antero da Silva started the roundtable session with a speech, where he expressed how utopia is both hoping and striving. This was followed by a speech from professor Lynda-Ann Blanchard, who talked about negative and positive peace, as well as expressing that utopia is positive peace, and that people have to work hard to achieve it. The roundtable session continued after lunch break, as there were much more to elaborate on. After the utopia session, we did our final round of Hi-Ha-Ho before we continued with a peace dove activity. Since the theme of the day was future, we asked all participants and volunteers to write their dream and hope for the future of Timor-Leste. We, the Peace Project Team did the same. 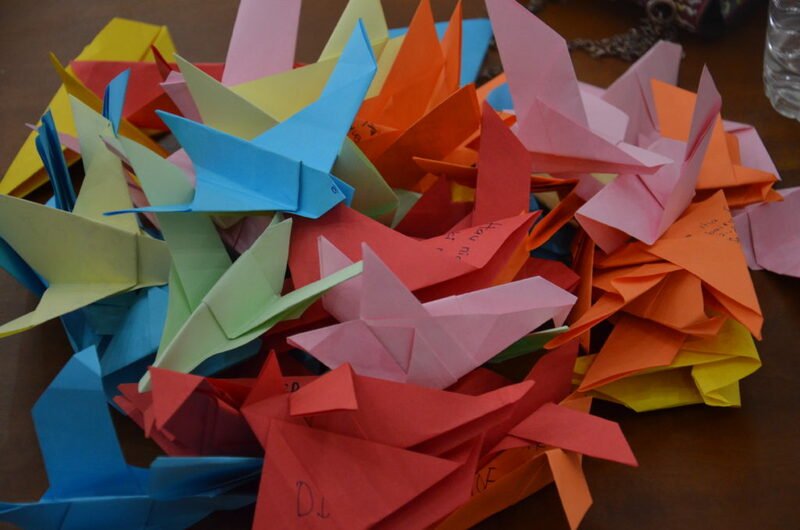 After writing, we folded the paper into a peace dove, which will be used as decoration in the Peace Centre. This was a really nice end to a very educational and fun seminar week. 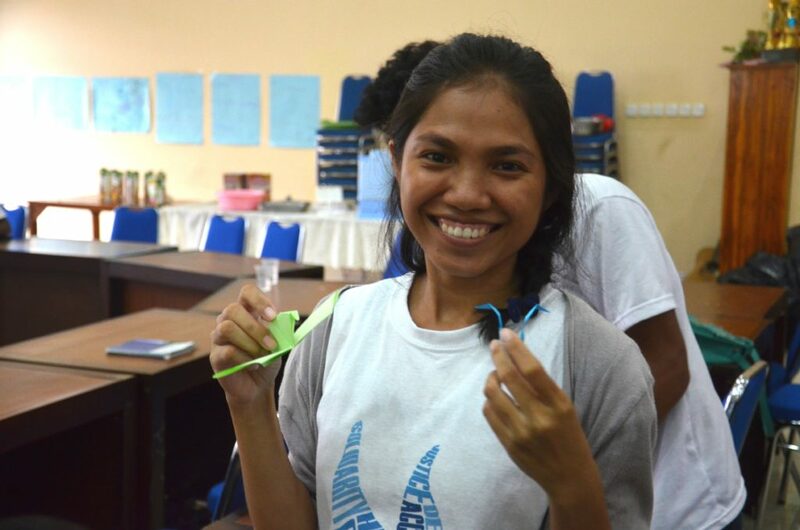 The peace doves with the dreams and hopes for the future of Timor-Leste inside. Before parting our ways, we had a closing ceremony which included handing out diplomas for both participants and volunteers, singing and dancing (including us), as well as giving and receiving hugs. The Peace Project Team with Antero da Silva.